Barrett-Jackson, an Arizona-based auction company specializing in the auction of antique and classic automobiles, has announced that the National Multiple Sclerosis Society will be among the nonprofits supported through its 45th Anniversary auction of custom vehicles. The company has donated over $84.6 million to charities since 1971. The anniversary auction, which includes a number of cars with vehicle identification numbers (VIN) Nos. 001, is set for Jan. 23–31, 2016, in Scottsdale, Arizona. Comedian Jay Leno’s 2000 Harley-Davidson F-150 Pickup Truck will be auctioned on Friday, Jan. 29, with proceeds going to the MS Society. 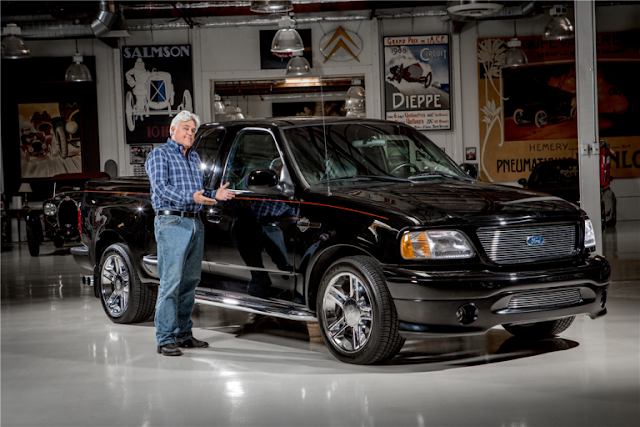 In addition to being a one-owner car titled to Leno, the ultra-rare Ford performance pickup is the only one in existence that features a factory SVT Lightning power train. The truck is available for viewing under Auction Lot No. 3006. The U.S.-built NSX has 573 horsepower and is composed of a bespoke twin-turbocharged, dry-sump V6 engine coupled to a nine-speed dual-clutch transmission. This vehicle will benefit the Pediatric Brain Tumor Foundation and Camp Southern Ground. The Focus RS has a 2.3-liter EcoBoost engine with 350 horsepower and 350 ft/lbs of torque to all four wheels. The sale of the Focus RS will benefit JDRF, and the professional rally driver Ken Block and Mark Fields, CEO of Ford Motor Company, will be on stage. Chevrolet will auction its first retail production, all-new sixth-generation Camaro. The sale of this vehicle will benefit Kettering University. The first of only 69 sixth-generation COPO Camaros slated to be produced, this car fuses COPO performance with a lighter, stronger design and tailored look created by NHRA star Courtney Force. The vehicle was introduced in November at the SEMA Show. Proceeds from the auction will benefit United Way. Those interested in more information about the custom vehicles at the upcoming auction can preview the lots through this link, and even make a bid.